The Old Boys’ Association (OBA) of S. Thomas’ College, Mt. Lavinia re-launched their website, along with a new Alumni Portal, at the 2018 Batch Heads’ Dinner Ceremony hosted by the Warden, at the College Hall on 3 August. The Chief Guest at the ceremony was Nanda Fernando, CEO of Sampath Bank Ltd., the exclusive event partner, and was attended by representatives of class groups and other alumni groups of the College and the Executive Committee of the OBA. The new Alumni Portal, powered by the globally renowned Vaave Alumni platform, enables its members to engage with each other and leverage the power of the entire alumni network. It also facilitates collaboration between the membership and the OBA in student development and other OBA projects. The Alumni Portal is rich in features, such as Newsrooms, Facebook-like Discussion forums, Job Portals, Event Management capabilities, Mentorship programs for students or young old boys, and will soon boast even an online store for STC souvenirs and memorabilia. The Alumni Portal also enables members to maintain rich member profiles, which will facilitate targeted communications and fast search for the OBA, while providing state-of-the art security in order to maintain strict privacy of personal information. Members can also self-determine the level of visibility for (each attribute of) their personal information, to their batch mates and the broader membership. The Alumni portal also has separate sections for Class Groups, Overseas Chapters and Special Interest Groups, providing a unified platform for alumni from different vintages, geographies and interests to come together, while maintaining their unique identities and interests. Old boys of S. Thomas’ College, Mt. Lavinia, who wish to join the alumni network, may do so by visiting the website: www.stcmloba.com and following the links to “Register” or “Join Network”. Upon registering to the portal, old boys, who are registered members of the OBA should contact the portal administrator (online) and provide your OBA membership number in order to gain full access to the features of the portal. 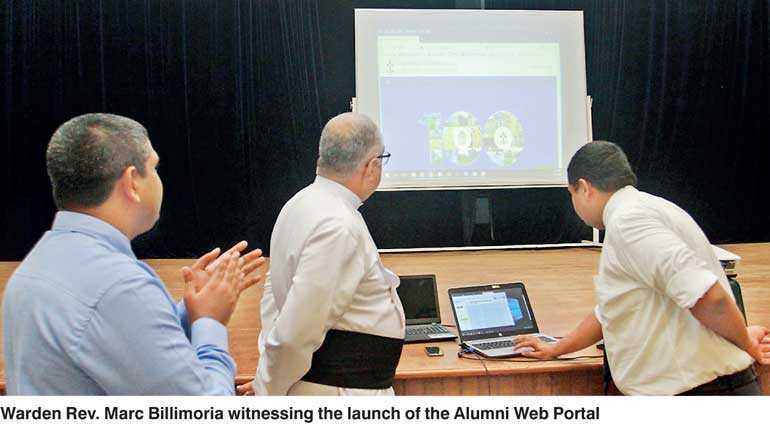 The Alumni Portal is one of many projects undertaken by the OBA to strengthen ties between the school and its alumni. The Old Boys’ Association of S. Thomas’ College, Mt Lavinia was established in 1886 and is one of the oldest Alumni associations in Sri Lanka.